Welcome to the LTH - Aeronautical Engineering Handbook internet site. The LTH is established as a standardised national working basis for industry, research, education and agencies. It documents procedures and data for development, verification and type certification. 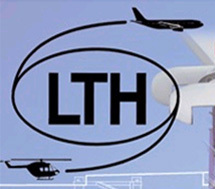 The LTH is characterised by the approval of airworthiness authorities and enhanced application orientation which is in this content not available in technical literature. The LTH contents are continuously expanded and updated. Since December 2001 the LTH is available only in digital form on CD/DVD. The updated LTH edition can be obtained at the LTH Executive Secretary. Conditions and prices are included here.